Product information "Currentless plating - Basic kit"
The "Currentless plating basic kit" allows you the safe handling of our Tifoo products for currentless plating. 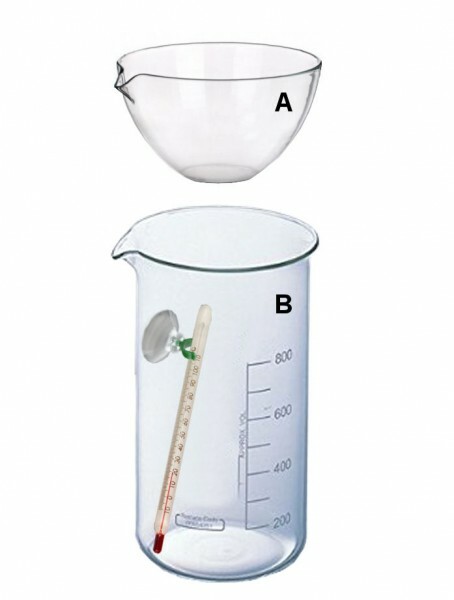 You can easily observe the plating process through the transparent beaker and controll the temperature. Besides, the condensator prevents the vapours and aerosols from leaking. The Tifoo basic kit "Currentless plating" should absolutely be used for the Tifoo Nickel-Star. If you have any questions, we will be happily at your disposal. Related links to "Currentless plating - Basic kit"
Instruction manual for Tifoo Currentless plating - Basic kit as PDF file. Customer evaluation for "Currentless plating - Basic kit"